Honored to take the Q again. My second, and admittedly, not my favorite of the two! Broke out a brand new deck of cards and made sure they were properly and thoroughly shuffled, although some may doubt my shuffling abilities. After a quick warm up, being sure to “engage the core” we got straight to it. Mosey to far side parking lot left of BHS entrance. Dealt out deck of cards – 2 per pax. Thought we had a perfect number (26 pax, 52 cards) until I realized there were two additional jokers. JOKERS! 2 cards/exercises read by each pax. Pax picks the order of the exercise. Al Gore on the Six. All said and done, there were 99 Big Boy Sit ups, 99 Merkins, 99 Mountain Climbers and although it was said to have felt like a WHOLE lot more, only 89 Burpees. One pax picked up one of the extra two cards, and one pax (shall remain nameless) handed over the final extra card (a ten count Burpee) and said “oops, this was left over”. I meant to add it to the end, but honestly forgot. 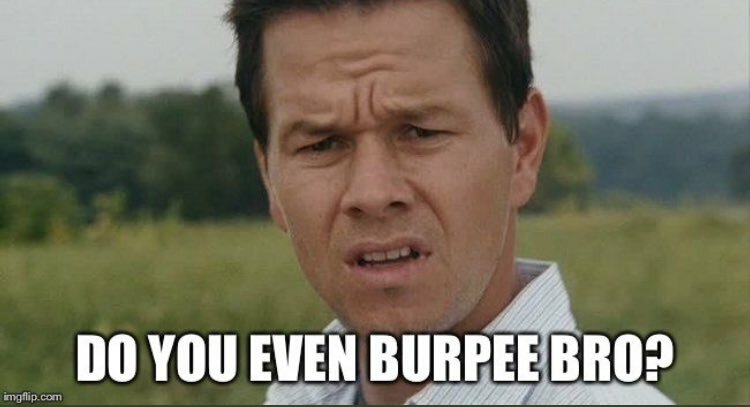 Actually make that 92 Burpees – forgot the 3 Burpee Penalty Card Drop on the front end. 6″ inch slow count box cutters – should have been more but we were out of time and I was done! If anyone wants to borrow the deck of cards – they come pre-printed with exercises – just let me know. Also, I may take that day off. Thanks again for the opportunity to lead. The honor is mine. Previous Post There are a few Spartan-types left.